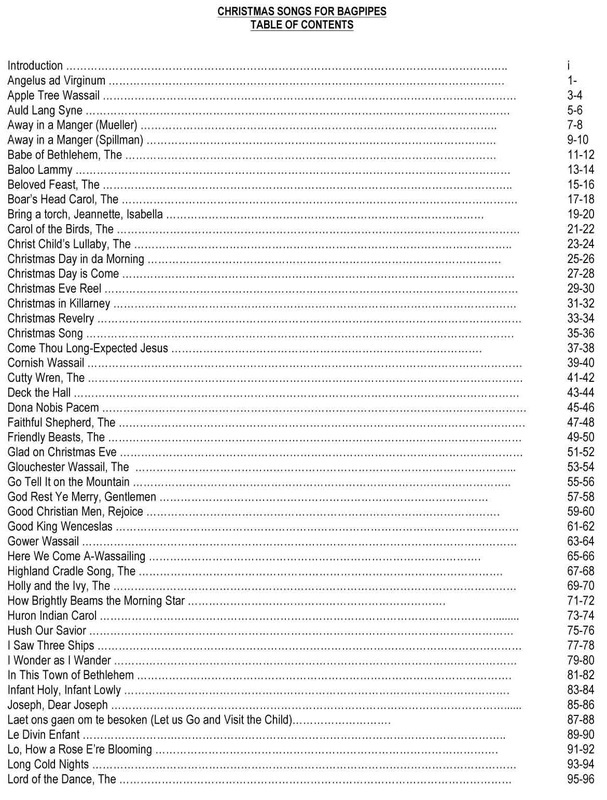 A Digital Version of the book is now available. 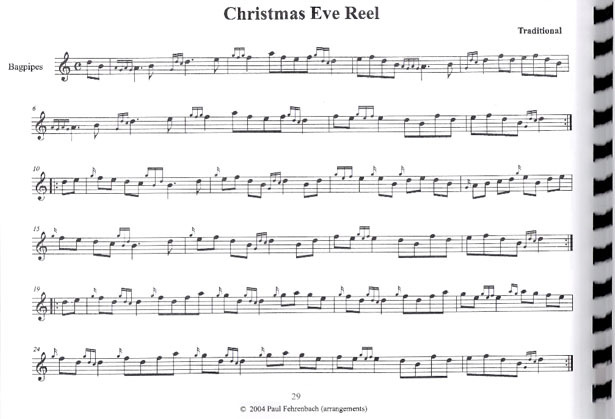 It is quite large and is in a compressed folder, so be patient for the download. 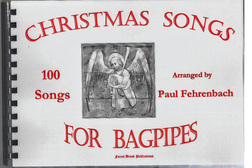 This collection contains 100 songs of the season arranged by Dr. Paul Fehrenbach for the Great Highland Bagpipe as well as a version of each of the songs that would be suitable for Scottish Smallpipes, Uilleann Pipes, Flute, Whistles, Fiddle and other Celtic Instruments. 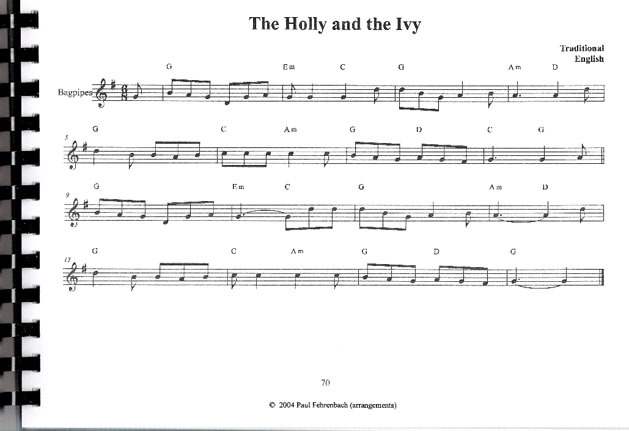 These arrangements also include chord symbols for accompaniment. 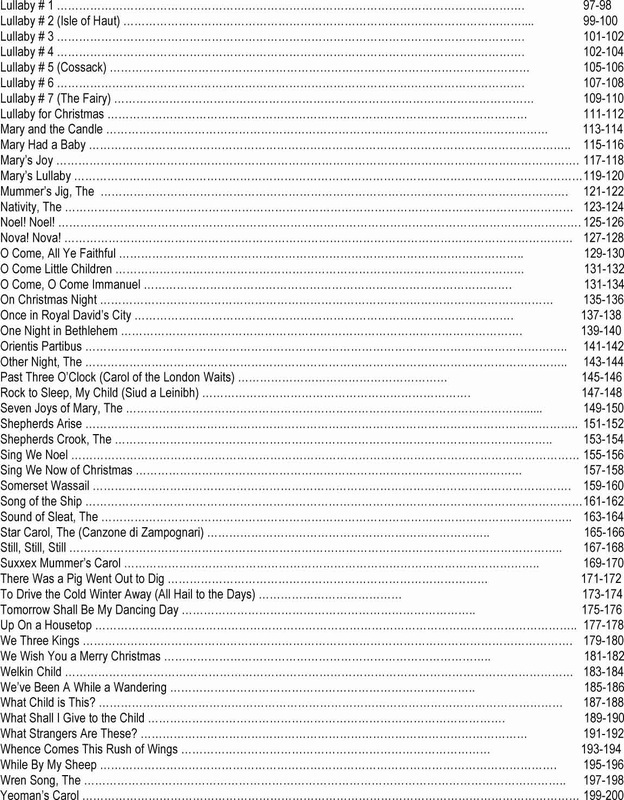 The author has endeavored to compile a variety of songs and styles to make the book practical and reach as wide an audience as possible. It contains ancient Medieval and Renaissance Christmas songs, traditional carols and some more contemporary tunes. 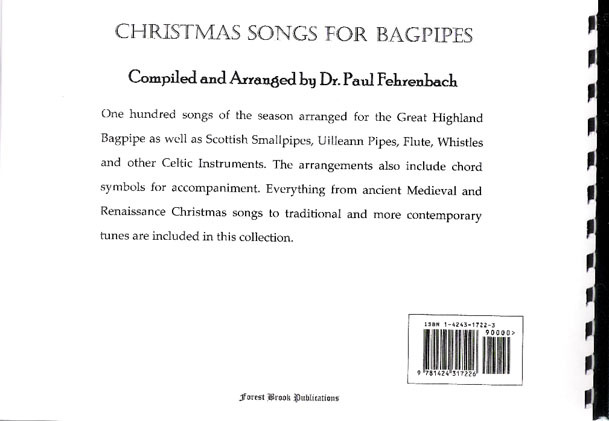 The songs were chosen for their accessibility to the Highland Bagpipes. 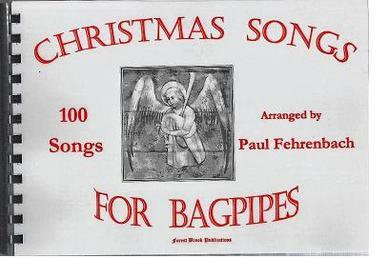 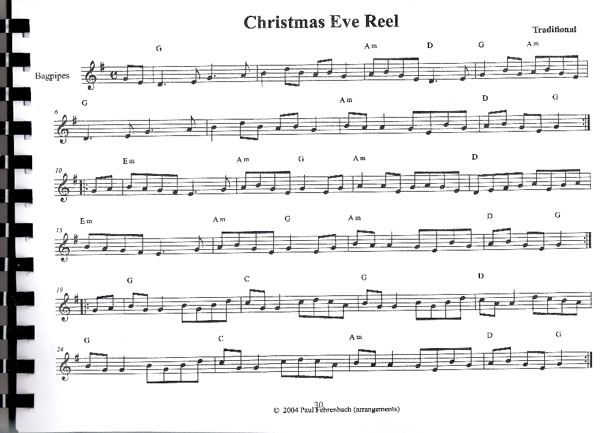 Carols that would necessitate major changes to the melodic line just to fit the Highland Bagpipe scale and range were avoided. 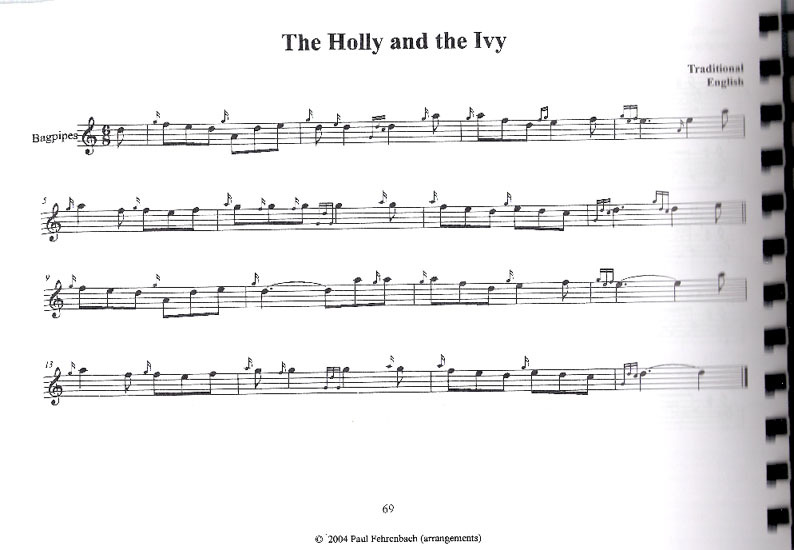 There is also a section in the book that gives chord transpositions for those that want to supply chordal accompaniment to the Highland pipes that sound in Bb or smallpipes that sound in A.